Let’s tread lightly, now, because we’re entering the realm of religion. 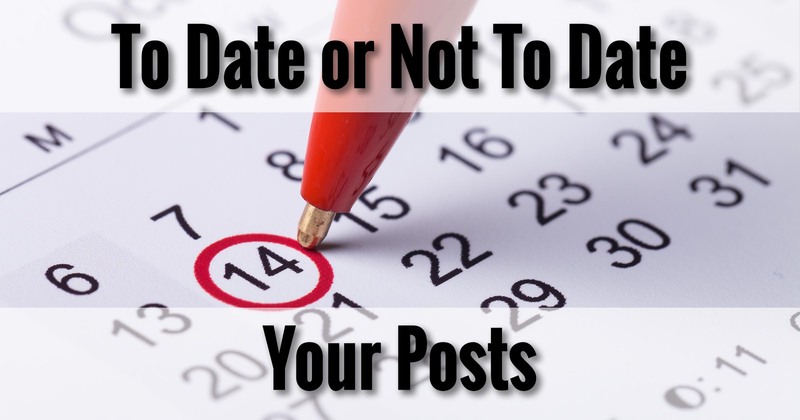 The issue is such a simple one: do you include a date on your posts or not? And yet, lengthy arguments result from trying to answer that one, simple, question. My answer? My favorite answer, of course: it depends. There’s nothing worse than researching a topic and finding a promising article from a respected source, only to find that it’s ten years old and the content is seriously out of date. A simple publication date at the top of a post can save a lot of time. Not having it wastes time and ultimately creates a bad experience, particularly after you determine just how old the article is. Adding a date can serve your reader by providing them additional context to help judge the timeliness and relevance of your content. Dates can mislead. Dates can lie. 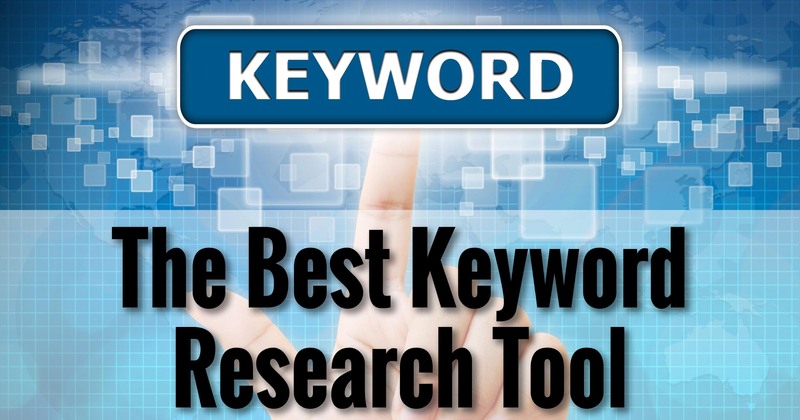 Dates can seriously mislead the visitor into thinking that an article is not relevant when it actually is, or vice versa. Consider a truly “evergreen” article, meaning that its information is truly timeless. It doesn’t matter if it was written last week, last year, or last century; its value remains solid. Posting a date – particularly when it’s more than a couple of years out – will cause some to completely dismiss the content without even giving it a chance. Truly valuable information gets abandoned simply because the potential reader had a preconception about the meaningfulness of the date included. Omitting the date can serve your reader by preventing erroneous out-of-hand assumptions about the timeliness and relevance of your content. Absolutely. There is nothing that says the date on a post has to be accurate. Nothing at all. Unscrupulous website owners can proactively (and perhaps even automatically) change the dates on posts to give the illusion that they are more current – and perhaps more valuable – than they really are. Similarly, removing the dates from truly time-sensitive posts can also mislead, by hiding data that could legitimately be used to gauge the timeliness of the content. I date all Ask Leo! posts. You’ll find it near the bottom of every post, along with an additional date if the post has been updated since its original publication. My posts are a mixture of articles that are (hopefully) timeless, and others that are quite time sensitive. I trust my readers to use the information to make an appropriate decision for their needs. I don’t highlight the date by putting at the top, but provide it as an additional reference point at the bottom. Here on Ask Leo! On Business, all posts are dated up at the top, mostly because I never got around to moving or removing the date. The information presented here shouldn’t generally be date sensitive, and I’d hate for someone to make a negative judgment based on the date alone, but I have to trust my audience to do the right thing. I explicitly used a phrase a couple of times above: “serve your reader”. That’s what it’s all about: what best serves your reader? Not you – your reader. Don’t play games to mislead them into reading something that doesn’t apply. Give them data that is useful. If the date of a post is relevant, make sure it’s there somewhere. If it’s not relevant, then don’t. 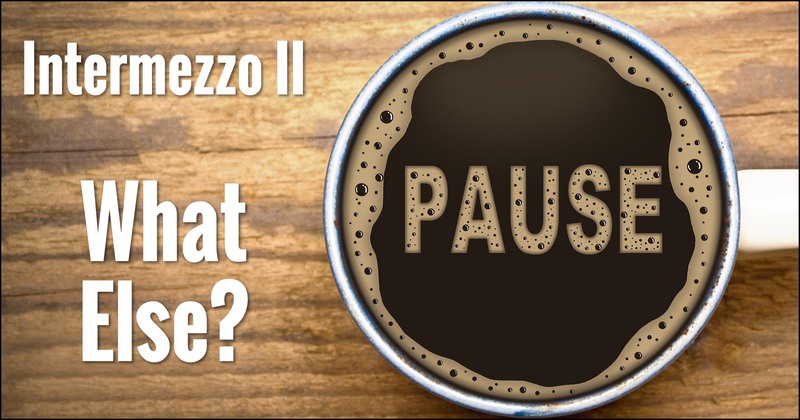 Intermezzo II – What Else? While I don’t yet own any websites, I find it useful to see dates on postings particularly when I do a Google search for a particular topic to resolve an issue. For example if I do a search to resolve an MS Office error and I get 30 search results, do you think I will look at any that are older than 2013. I don’t think so. And you make my point. It’s not uncommon for the answer (even with MS Office) to be in a post that’s older than that. Thus you are making a snap-judgement based on a data – a judgement that can be incorrect. I agree those kinds of posts probably should be dated, but I truly wish that people wouldn’t give the date so much weight in examples such as yours. Unless you are working with Office 2007, or 2003. Then you will likely ignore the last couple years of posts. I run into this quite regularly where a client is using an older version – even if I google “office 2007” I get mostly 2012 and newer references – most of which have no date. If I’m doing research on a time-sensitive issue and come across an article without a date, I don’t dismiss it out of hand but I’ll give it less weight. I’ve been burned by articles that seemed useful, but proved to be out of date by my own trial and error. Of course dates can be faked. Fakery is an unfortunate fact of internet life that needs to be taken into consideration no matter what you’re doing online. That doesn’t mean that the honest among us shouldn’t be upfront about the date and/or relevance of our posts. I would add to that encouragement to all website operators to be attentive to posts that are clearly out of date, and remove them or label them “archived” or similar. I tried dating my post, but she turned me down! But to be serious for a moment, I guess it depends on what your site/blog is about. I’ve run a number over the years, covering such diverse subjects as cricket (the sport America doesn’t play) comicbooks and lead generation. The former are very time specific. The latter, dealing primarily in principles and theory, less so. With the comics, it was often trying to break news, or at least comment on current news and events. For example, some of you may be aware there are a lot of comicbook movies around currently, so it would often cover the similarities/differences between the source material and the film. With both Cricket and Comics, luminaries from both spheres would be responsible or involved in significant events, even if, sometimes it meant their passing into the realm hereafter (to get even more religious.) So to not date the post celebrating a great life in a particular sphere would be extremely odd to my way of thinking. Similarly with Sport, just writing about a specific game, that needs a date to give it context. Was the game very recent, or are you reviewing it through a decades old prism with other games to compare it by? But if I am to discuss ways to open a telephone conversation with a potential prospect, well… that’s not so necessary. I agree Leo, it does depend but it depends more on the context than simply preference, in my mind. Context yes, but value to your reader first. Now there’s a whole new subject and can of worms. Who decides what is of value? I suspect you can explore that ad infinitum and we’re getting into philosophy here. Indeed. The important thing I want to encourage is that people think about it and make the decision that they feel is correct for their audience. In my line of work, dating a post is very important because you are commenting on a topic affected by current rules, laws and regulations applicable at the date of your post. Dating your post follows the CYA principle. What happens if you didn’t date your post and the criteria changes a few days later? Someone reading your comments a few months later may act on incorrect information and suffer damages. Think lawsuit. On the other hand, the date of the post indicates that your comments were based on the information available at the time when you posted them. Also, it provides a historical record to compare with future changes. No date if you are just generating click bait. If it is worth writing about, then it is worth dating and let the reader decide. Don’t assume you know better than the reader. Respect their intelligence. There is too much rotted information on the internet and I rarely look outside my vetted primary sources. I’m trying to think of a timeless post, one that’s so permanently valuable that putting a date on it might be actively misleading. I can’t. And even though I might miss something valuable if I’m screening by date, what do I do if there are 50 answers to my question? It doesn’t have to be permanently valuable. As one of the other comments pointed out that they would skip an Outlook answer if the article was older than their version of Outlook. While that makes a certain amount of logical sense, some problems transcend versioning. A solution posted for Outlook 2003 might very well apply to Outlook 2013. The date would cause someone to miss that answered if they follow that logic. I personally lean towards the “dating your posts”. If the posts are on a website that is reputable and one that I have used in the past, then I trust the postmarked dates. If it’s not a trustworthy site, then I don’t put as much weight on the date. Overall, I just prefer articles that have been dated.